Matt has a passion for Fitness and Sports. He's been a qualified personal trainer for 5 years. He's always been into sports starting from a young age. He was trained by the great Arthur Lydiard and represented New Zealand in Athletics before going onto captain the Ponsonby Ponies rugby league team. Matt's also addicted to "the powder" spending countless weekends at Mt Ruapheu and traveling to seek out fresh runs all round the world. He's a competitive snowboarder and also a qualified instructor. His passion for all sports helps drive all the programs developed by Building Better Bodies. Training for Snow fitness with Matt's unique program will ensure that you are ready to take on your outdoor activities with confidence, knowing that you fine tuned your bodies muscular system to respond to what ever is thrown at it. 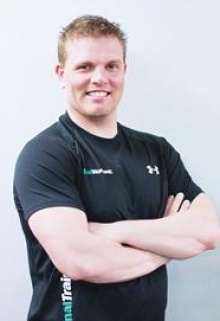 Matt's program is a New Zealand First incorporating all the knowledge and benefits of working with professionals. No other fitness centre can offer you what Matt can, by using Europe's Latest Ski balance training aids available you can quickly perfect the art of centre balancing of which is critical to smooth safe performance on the snow. The use of the Ski Simulator has so many advantages over general training aids. it is a dedicated ski training machine which works on all the muscular aspects required when skiing. A side affect is the general cardio and fitness, stamina that will be achieved by using this program. Matt is an enthusiastic Snowboarder and Skier having a passion for the sport, he will take you on journey of training so you can enjoy your favourite sports even more. Give him a call make an appointment and get started.